Apple’s 2018 iPhone XS and iPhone XS Max bring several new features to the table. They’re ‘S’ upgrades, so if you’re looking for drastically upgraded form or design then wait another year. Two important upgrades on the devices are for their processor and rear cameras. Now we’ve got a teardown that gives a good look at both of these components. Take a look below for more details. 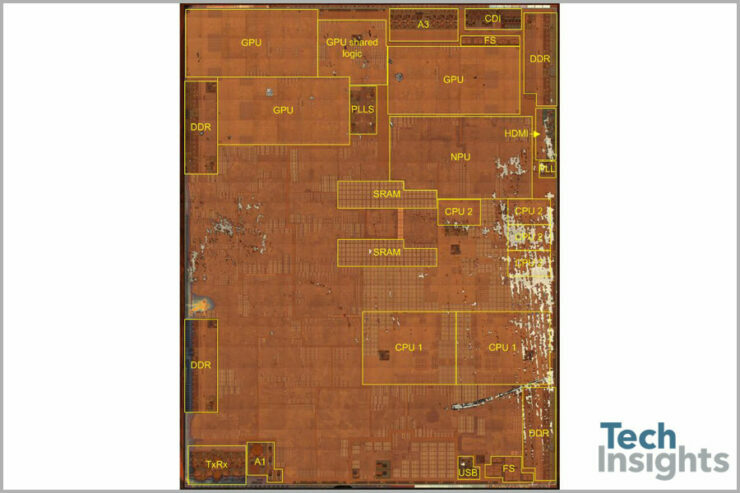 Apple’s A12 processor for the iPhone XS, iPhone XS Max and iPhone XR are manufactured on TSMC’s 7nm node. This results in increased transistor density, which in turn improves performance. This year the Cupertino tech giant has focused on the SoC as a package instead of an upgrade in computing. This approach is evident on the A12 Bionic’s die shots that are courtesy of the good folks over at TechInsights. Last year’s A11 SoC for the iPhone 8, iPhone 8 Plus and iPhone X had an 87.66 mm2 die area, which is a 30% decrease over the A10. Compared to this, the A12 has an 83.27 mm2 die area which is a mere 5% decrease. Moving towards the SoC’s die shot we can see that Apple’s claims that the A12’s GPU will have a 50% performance improvement are based on a larger surface area for the unit. The LITTLE core cluster for the A12 also appears to have increased in size. 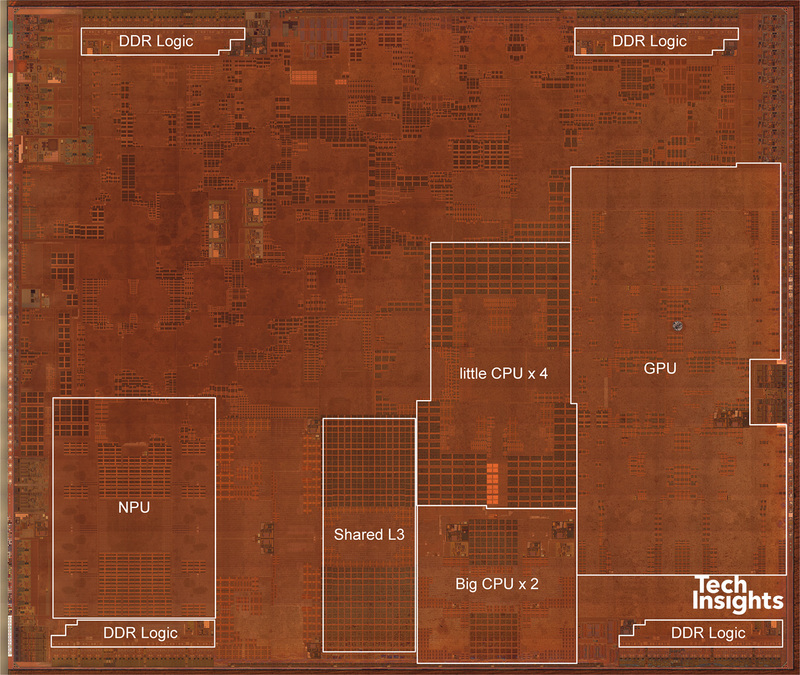 Finally, in Apple’s latest processor design, the NPU is situated further away from the CPU and GPU. 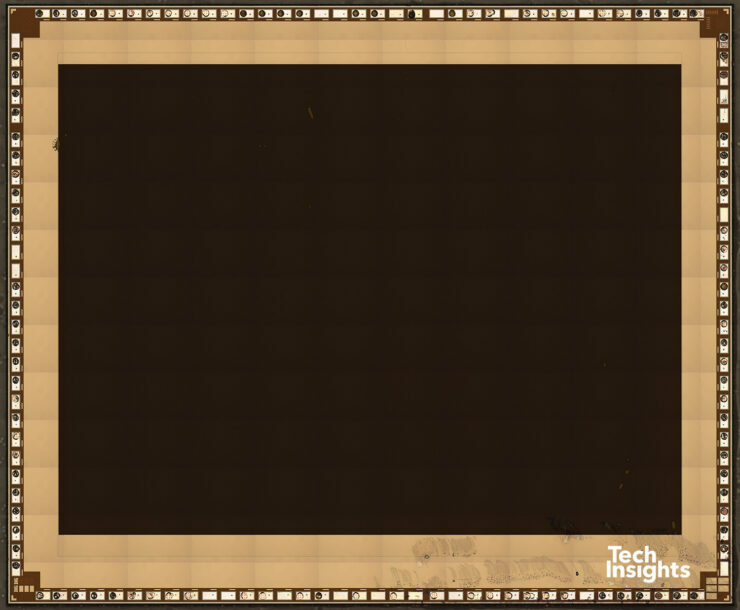 In the second part of their analysis, TechInsights has also taken a look at the iPhone XS Max’s rear camera. Both the iPhones XS feature the same rear camera configuration, so what holds true for the XS Max also holds true for the XS. Like the sensors found on the iPhone 8 Plus, the iPhone XS Max’s rear camera is also manufactured by Sony. The dual camera setup contains a wide-angle and a telephoto lens. The wide-angle sensor is larger than the one found on last year’s iPhone 8 Plus. It has a 40.6 mm2 surface area. Hybrid bonding is back on the iPhone XS Max’s rear camera after it made a first-time appearance on the iPhone 8 Plus. 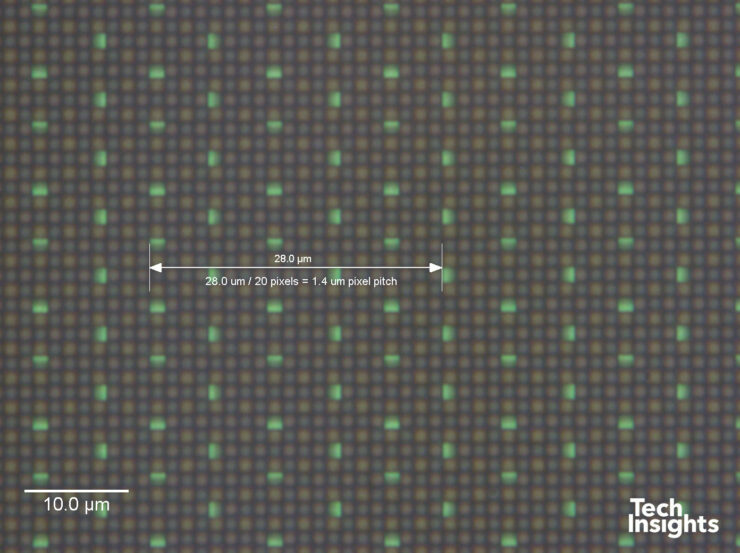 Pixel Pitch (the distance between individual pixels center) has increased and now stands at 1.4µm. Focus Pixels (used to compared and map phases) also increase and follow a shared approach that Apple debuted on last year’s iPhone X and iPhone 8 Plus. All in all, Apple’s made some changes on the 2018 iPhone lineup. Thoughts? Let us know what you think in the comments section below and stay tuned. We’ll keep you updated on the latest.